One day, BW and I were out and about, strolling along the streets of Bayswater, when he noticed something out of the corner of his eyes. He stopped in his tracks, leaving me to carry on walking and talking to myself. When I was frustrated that he wasn’t responding to me, I turned around to find that firstly, I had been talking to myself for the last five minutes and, secondly, I caught him with his eyes peeled to this one particular restaurant that we always walk past. I saw that his eyes were fixed upon a particular hijabi sitting in the restaurant, innocently, enjoying her meal. A smack round his arm snapped him out of it and he began to explain that this restaurant must be halal because he had just seen a Muslim couple dining there. 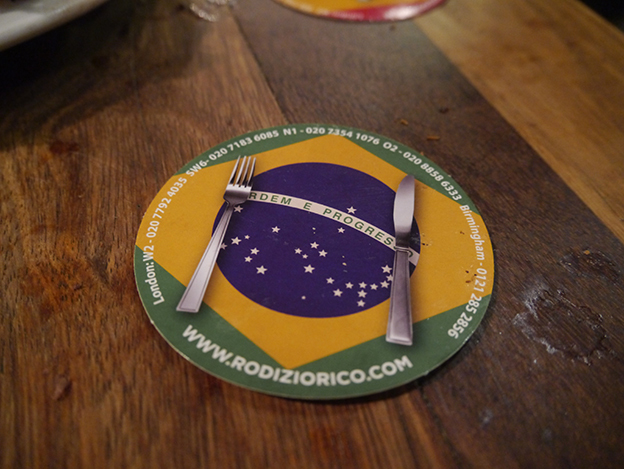 One phone call later, with the inclusion of me giving him grief, and it turned out he had discovered Rodizio Rico. 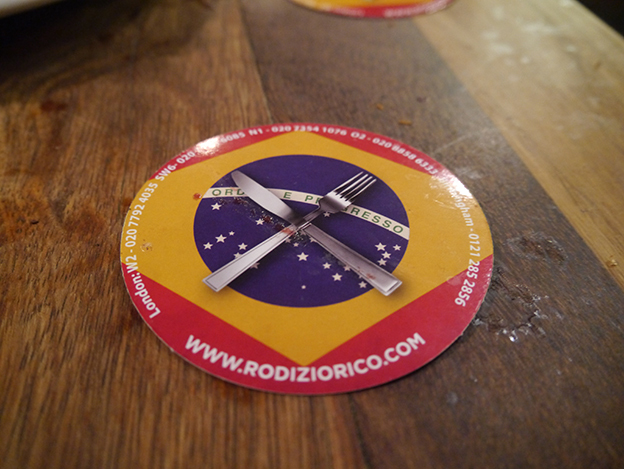 Rodizio is a Brazillian barbecue restaurant serving all sorts of cuts of meat such as beef ribs, chicken legs, etc. 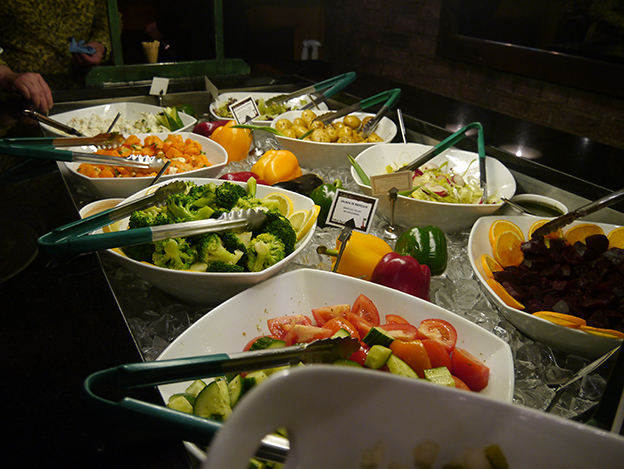 The majority of the meats served are halal with the exception of the pork dishes and two cuts of beef. The concept is simple. You are each given a disc with a green side – meaning keep the meat coming – and a red side – I have the meat sweats right now so no more for me. 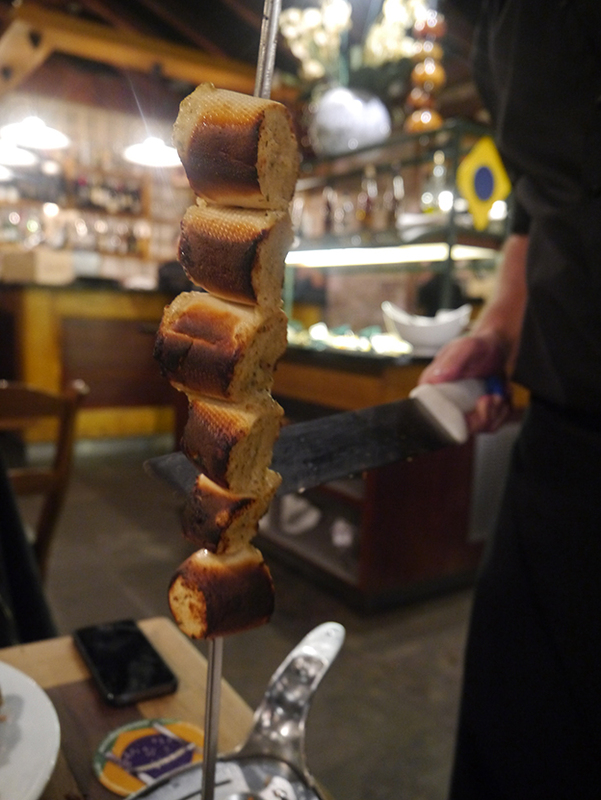 Waiters will be walking around with different skewers of every type of meat imaginable. 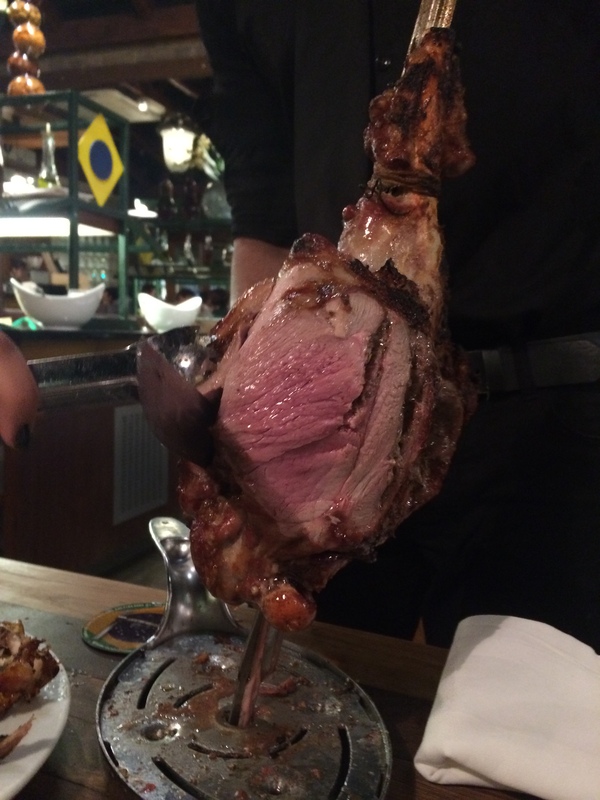 They stop at your table, they carve the meat and you simply take as much as you desire – simple! Red a.k.a can’t handle anymore! I think this was the one dish we were waiting the entire meal for. 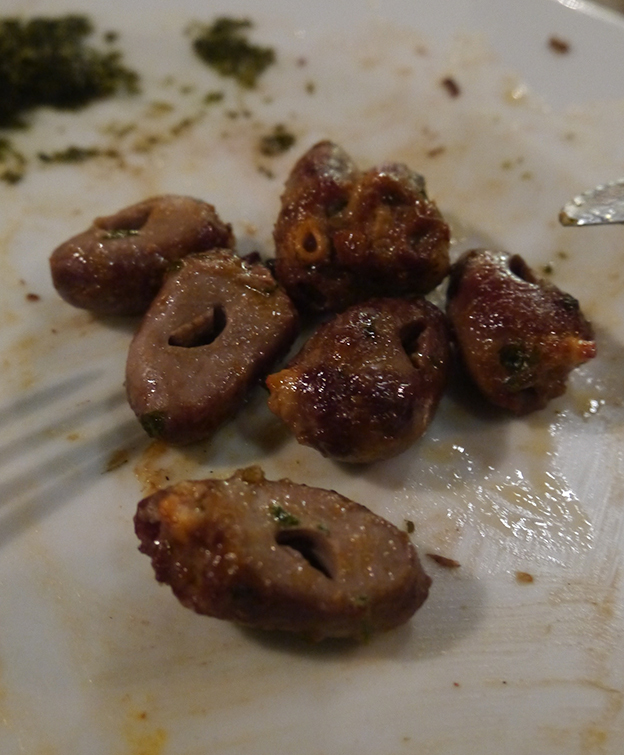 These little tiny chicken hearts had been cooked with a garlicky marinade and placed upon the huge open flame. Whilst BW opted to have ten of these placed in his plate, after the waiter said it was his favourite dish, the rest of us opted for 1 each. Here we go! 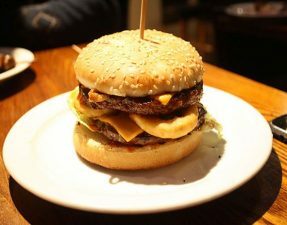 At first, it’s like a soft meat with a creamy, light texture but then all of a sudden, the familiar organy taste hits you. It wasn’t offal (haha get it?) but it was, for sure, not my cup of tea. The rest of us felt the same except for the monstrous BW who carried on eating them like they were m+ms and at one point, even referred to himself as a giant monster eating tiny little people hearts. Oh dear. We finally had to surrender to the herd of skewers coming our way and groaningly flipped our discs over to red side. I was offaly full (last one, I promise) as were the rest of table and we, sadly, skipped out on dessert. These after dinner treats also came in a variety of options; however the only mentionable dessert I noticed was the banana or pineapple flambé, which I saw sitting on the open flame. The final bill amounted to £136.86 between the four of us, and included mocktails and service. Without the additional extras, the cost per person is £25 which is great value considering amount of meats that are available to our halal palates. 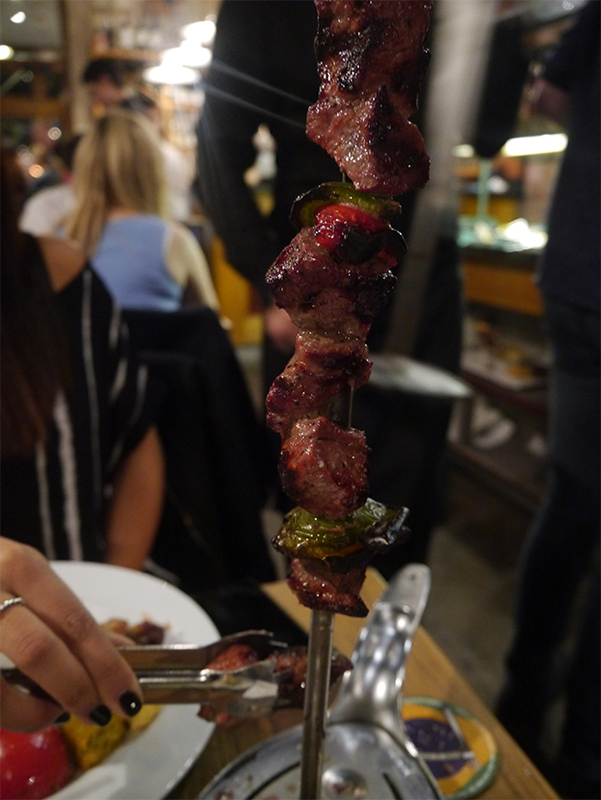 Even though some of the cuts of beef are not halal, there are plenty of meats to try – some we didn’t even try – and if you point out that you follow a halal diet, they will bring you the appropriate skewers. 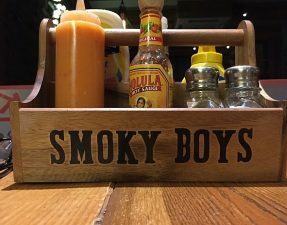 The restaurant assured us that the pork products were cooked separately from the rest of the meat as well so there is no chance of cross contamination occurring. 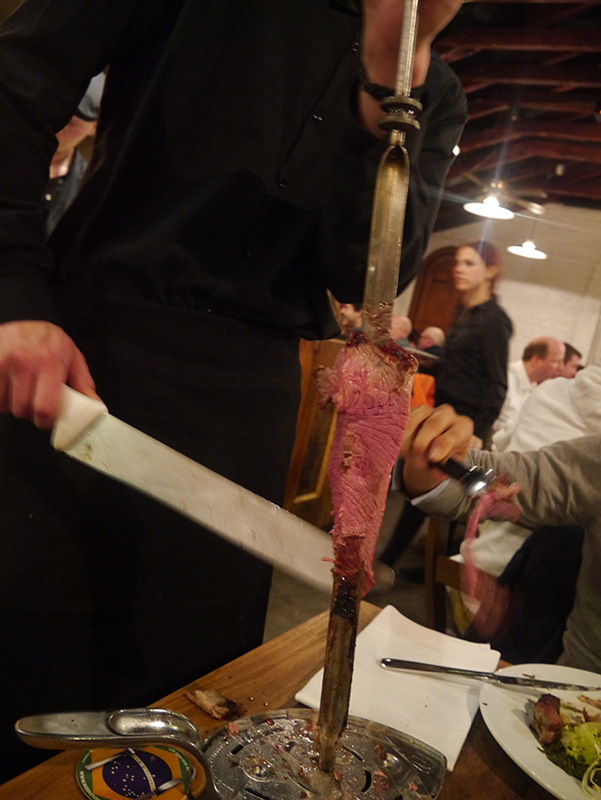 The service was attentive; they explained the system to us and the waiters, who carved the meat, explained which types of meat they were serving. The restaurant was packed full of groups of friends, families and dates; we were lucky to be able to just walk in and grab a table for four! 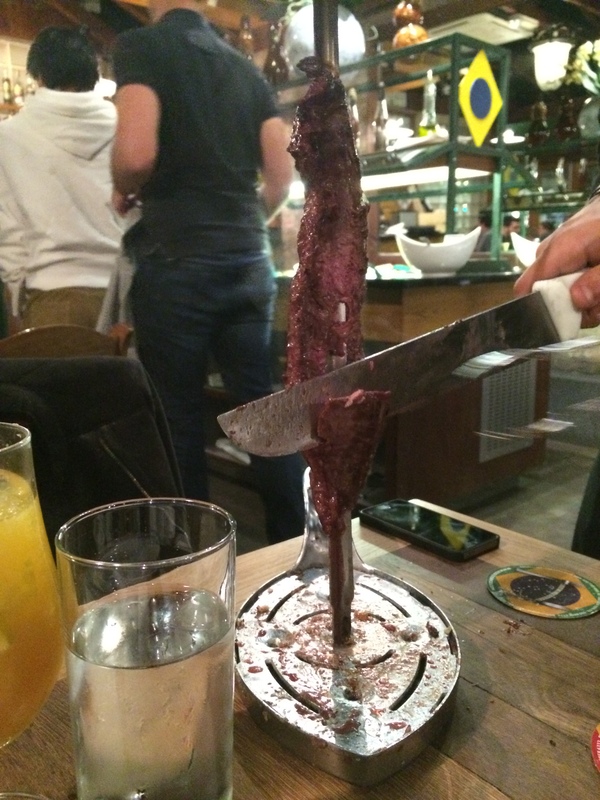 With regards to the food, don’t get me wrong, any form of endless supply of meat is meatopia for me. 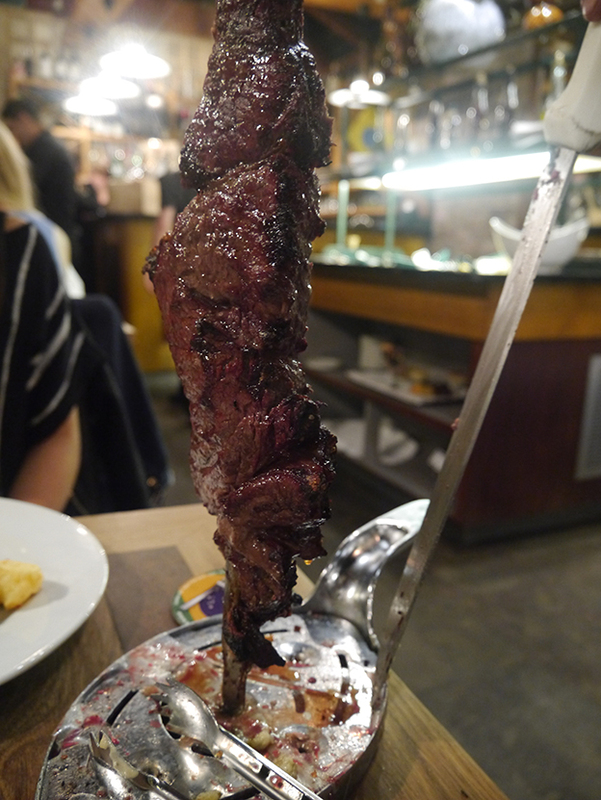 However, with Rodizio Rico, there were only a handful of meats that were enjoyable such as the ox tail, rump steak and the chicken sausage; the rest were lacking on flavour or were a little too chewy for my liking. Nonetheless it was definitely a fun experience and is a must for those first-timers. 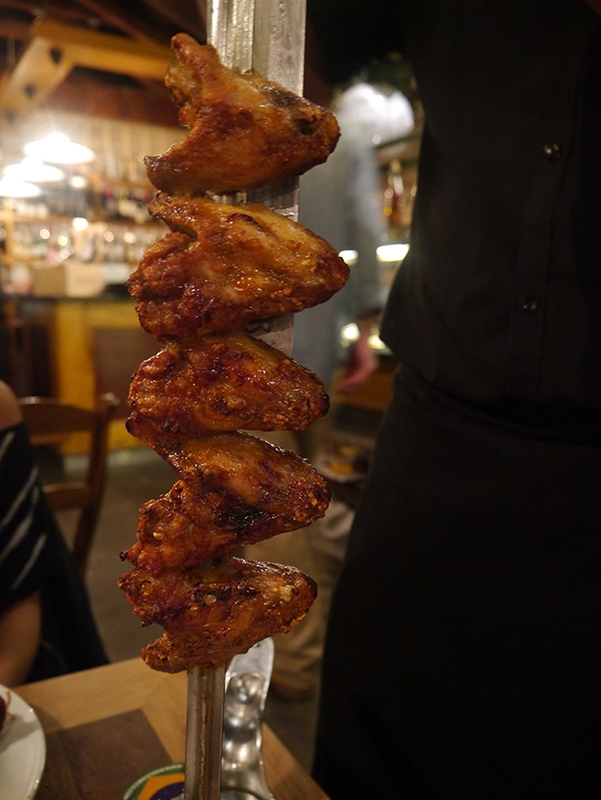 These brazillian barbecues are slowly popping up all over London and if you fancy a full halal (no pork) experience, try out Nabrasa in Wimbledon! How can you be sure meat is halaal when they serve pork and alcohol?! I would definatly not have eaten there. 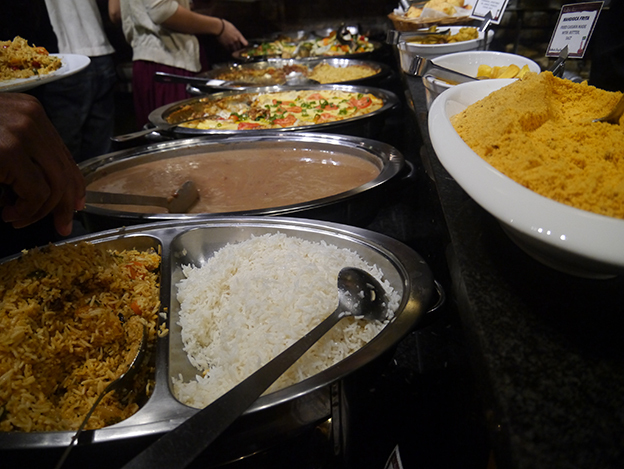 Of course the staff will say it’s halaal they want your custom! The restaurant also cook the meats separately and have certificates on hand for any customers who ask to see them! I would definitely advise everyone to check with there imam before eating in a place where halal is cooked with haram. Personally I would avoid eating in a restaurant that serves both harams that we are told to keep clear of. Alcohol served? Maybe; but pork is still a No-No under halal. They can sing you a nice number telling you about how careful they are with keeping the meats separate but it doesn’t stop a busy waiter grabbing the blade that cut the pork belly to serve you that beef brisket. Certificates are moot. They are hardly enforceable unless they have some bloke making regular surprise visits (á la HMC). You really should avoid put places like these under the banner of halal. The strictest option is usually the safest for Imaan; especially if you’re recommending to others. I totally agree with both of the above comments. It’s not worth eating in a place like this where halaal is served with haraam. In my view it should be totally halaal to be called an halaal establishment. Anything else is just haraam. It’s one or the other not both. Please be aware that this website is my own personal blog. And don’t forget, I’m not writing about halal restaurants, I’m writing about restaurants that serve halal meat. 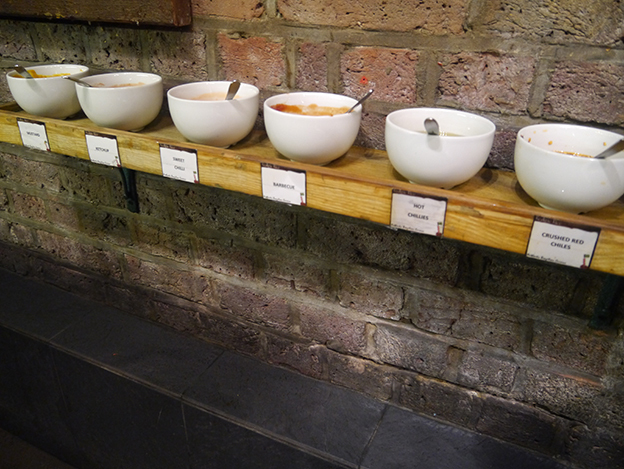 This is not a guide like zabihah – I am simply showing my readers my experience of the restaurant and if they want to visit, i have provided details regarding the location and contact number. With regards to the pork and alcohol consumption, I am aware that there are Muslims out there who would not eat at places like this and I respect that. However this is not the case with everyone; some people may have enjoyed this post and thought hey, we should go there this week! Hence why I cover all sorts of restaurants from strictly halal to places where both pork and alcohol are also served – to make everyone happy- and this is not going to change! Are you qualified at passing fatwas on what is haram and halal? Do you mean ‘eyes glued to the window’? I’d hate to see someone have their eyes peeled. 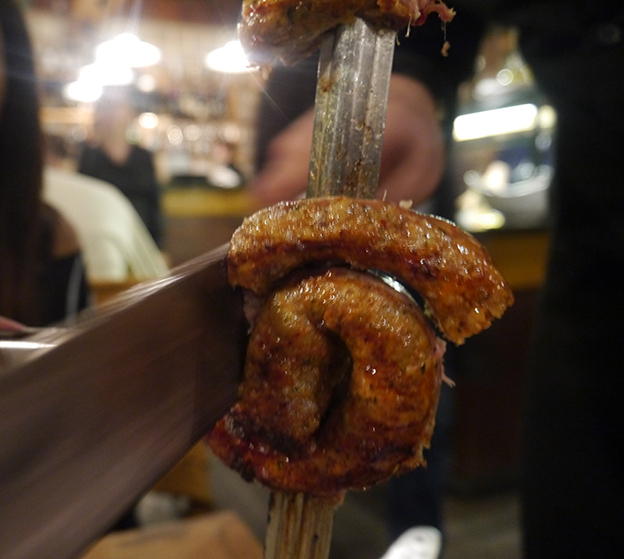 Anyway, I have been to one of these in Singapore where they place the skewer on your plate and carve the meat directly onto it, meaning there’s a high chance of cross contamination with the pork and other non halal meats from other diners’ plates. How do they avoid this here? That doesn’t stop cross contamination in preparation, cooking stages or elsewhere in the kitchen tho! 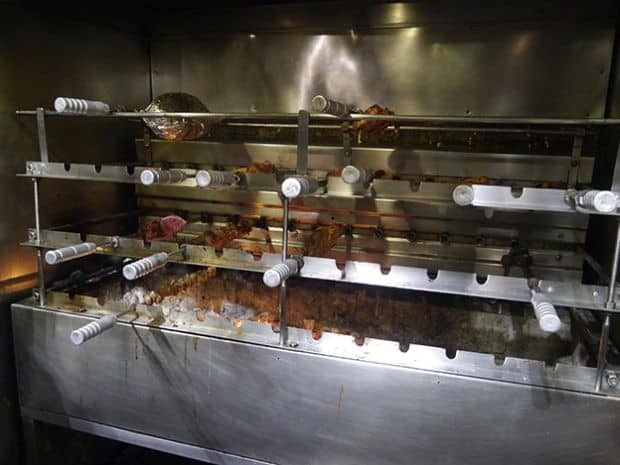 don’t go there then, she has given you a fully halal option – Nabrasa in Wimbledon! There was no need for such a rude comment. I was simply making a point. I dont live near London so wouldn’t eat in the other place mentioned. We are all entitled to opinion and it is our duty as Muslims to ask and be 100% satisfied we are eating halaal. At the end of the day weall have to answer to Allah for our decisions. Agreed – there’s no need to continue picking on this topic. Guys come on!!! The poor girls trying her best to provide all the top spots for us, she’s given you a detailed explanation of the place now it’s up to you to decide and scrutinise on your own accord, don’t argue on here!!! Am not arguing love. Just putting my point across. We all have an opinion. Just because most dont seem to agree with mine doesn’t mean am arguing. Am not an argumentative person. Went last weekend with a small group, we all really liked the concept. 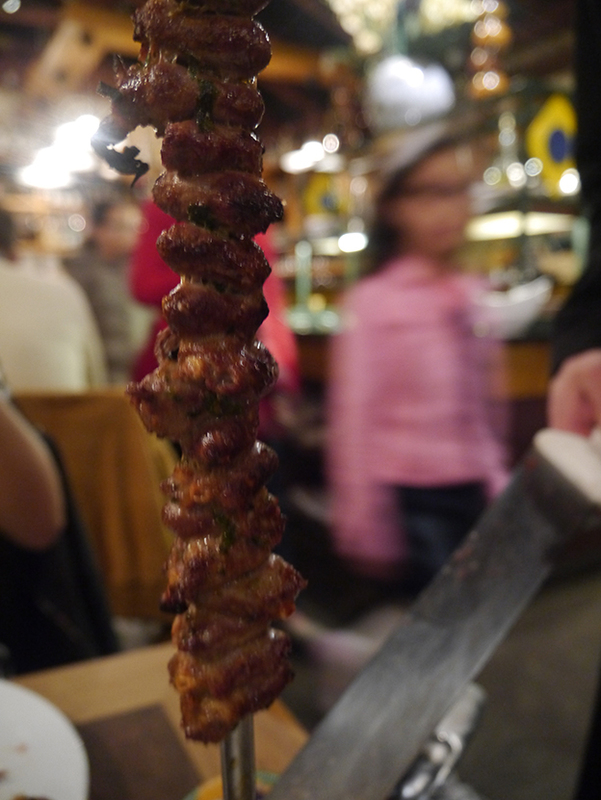 The rump is amazing, shish and chicken wings and sausage were good too, but I wasnt a huge fan of any of the others. I would also recommend avoiding the skirt stake. How can I unsubscribe? Fed up of getting nasty email replies. I am entitled to my opinion llike eeveryone else. Btw to anonymous reply to my post I am a Muslim revert and follow the ways of Quran and Sunnah. As it states in Quran it is prohibited to drink alcohol and eat flesh from swine why would I eat in a place where both are available?! You said “Anything else is just haraam. It’s one or the other not both” which is seemingly passing a fatwa on what is haraam and halal. ‘Abd-Allaah ibn ‘Awn from Ibn Seereen who said: Hudhayfah said: The one who gives fatwas to the people is one of three: either he knows what has been abrogated of the Qur’aan, or he is a leader who has no choice (but to issue a fatwa) or he is a fool who is doing something that is not his job. Think deeply and decide which one you are. I dont need to do anything thank you. Is this the same anonymous person who is trying to argue eith me before. As I said I follow Quran it’s good enough for me. Am truely sorry if it’s not good enough for you. I have never been hostile before as I was voicing an opinion and am sure others think the same as me but not said it. You are making it personal which is wrong.